Thank you for choosing to learn a little Korean with us today and if you have any questions or comments please feel free to let us know. 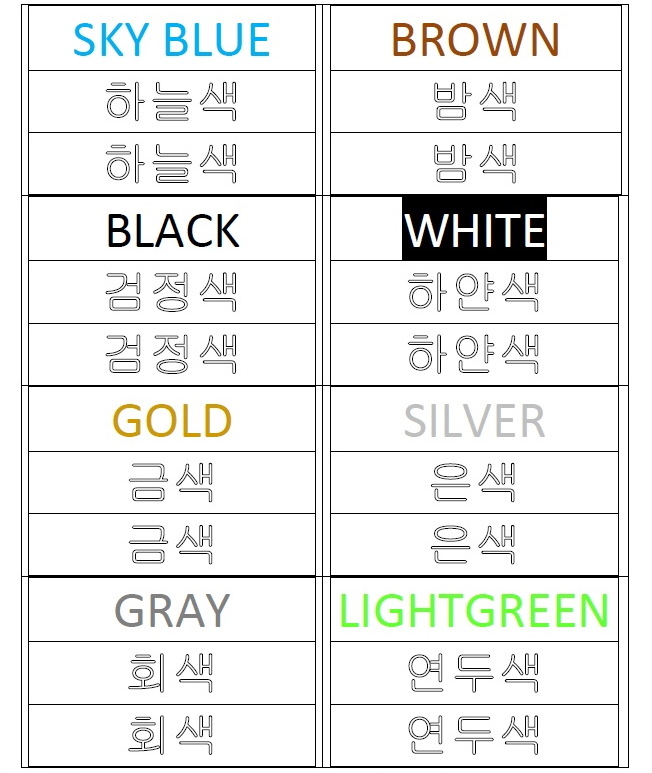 Hello again for another of our combo worksheets that combine both Korean vocabulary and writing. 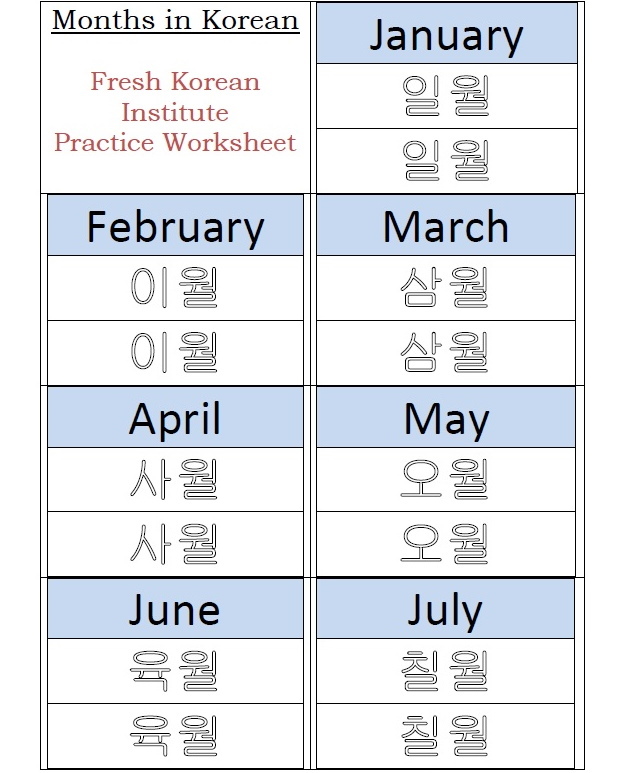 This worksheet is related to the months of the year. (January to December). 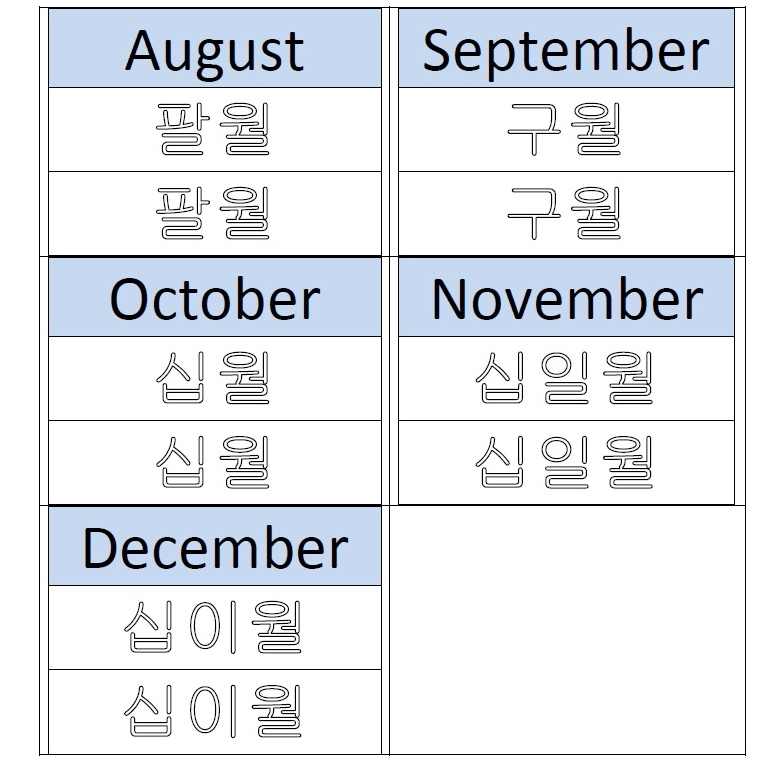 Months in Korean are very simple, they basically use the Sino counting system plus 월 on the end. The only strange one is June which is written 육월 but is spoken 유월 (You / Wol). 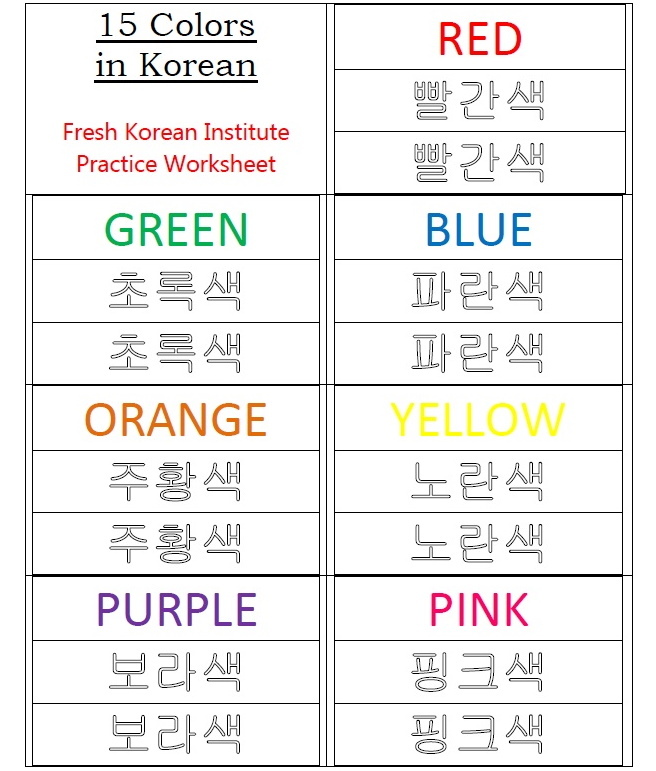 This is the first of many combo worksheets that combine both Korean vocabulary and writing. 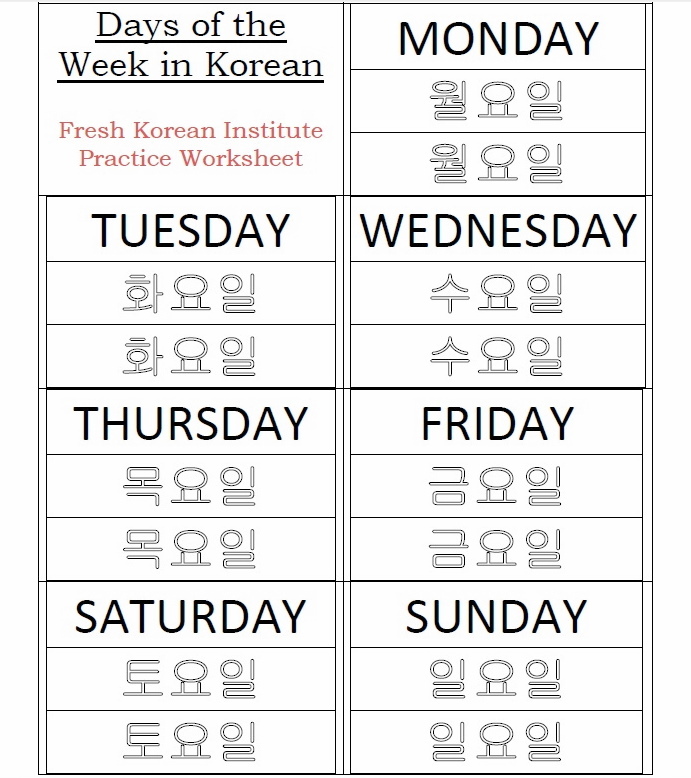 This worksheet is related to days and includes the 7 days of the week (Monday to Sunday). 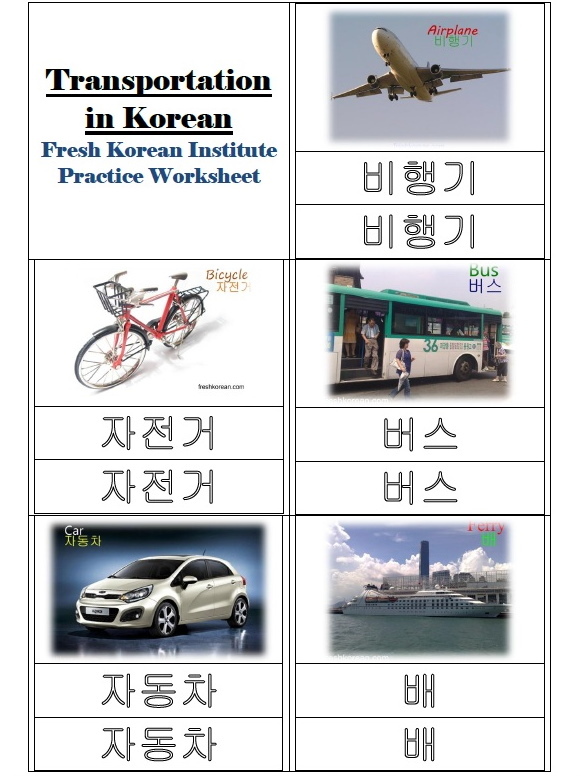 This is the first of many combo worksheets that combine both Korean vocabulary and writing. 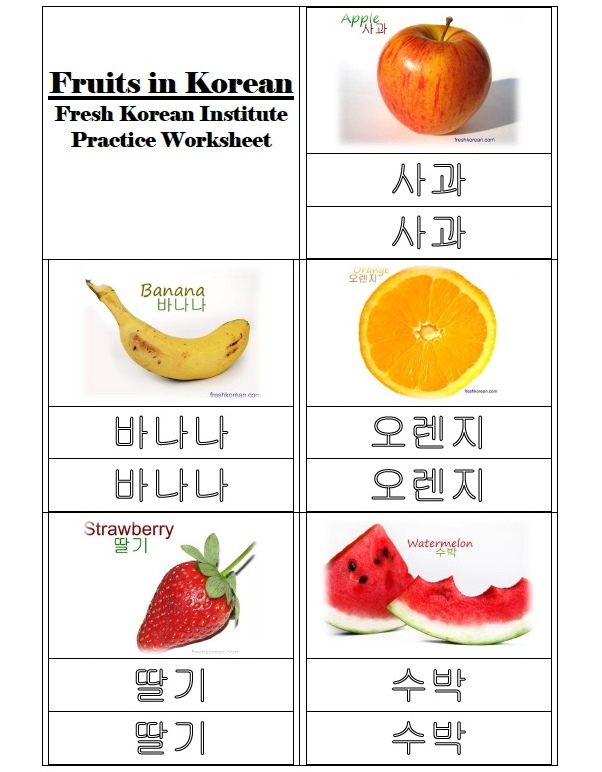 This worksheet is related to fruits and includes 5 different fruits (Apple, Banana, Orange, Strawberry & Watermelon).